An air cargo drop mission can be quite demanding, especially if conducted at night. The thing becomes much more challenging when the flight takes place over the enemy territory where there is a residual risk of MANPADS (Man Portable Air Defense Systems) or small arms. 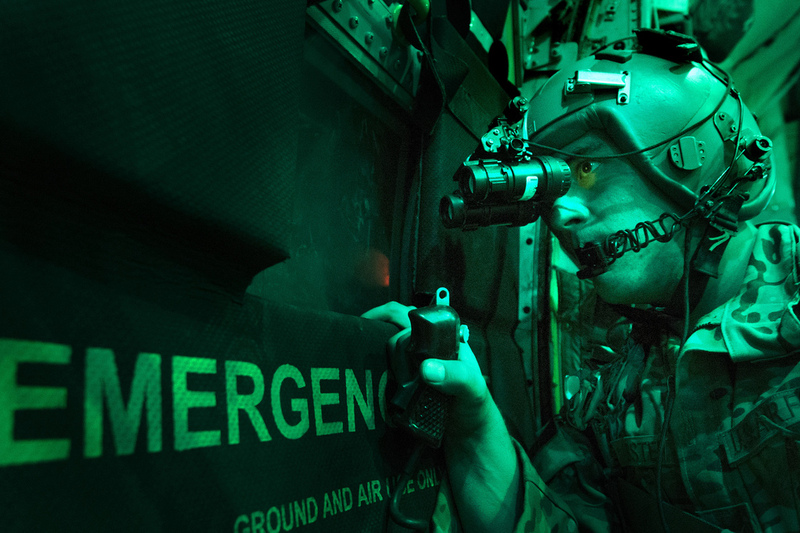 On these missions, not only pilots but all the crew wear Night Vision Goggles, and use the side windows of the plane to spot any sign of hostile fire. 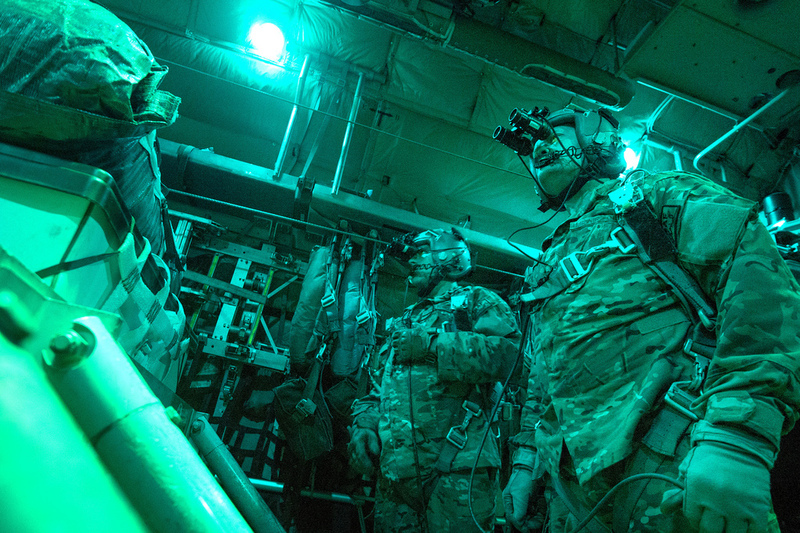 The images in this post show aircrew of the 774th Expeditionary Airlift Squadron C-130H Hercules from Bagram airfield, involved in an airdrop mission in Ghazni Province, Afghanistan, on Oct. 7, 2013.